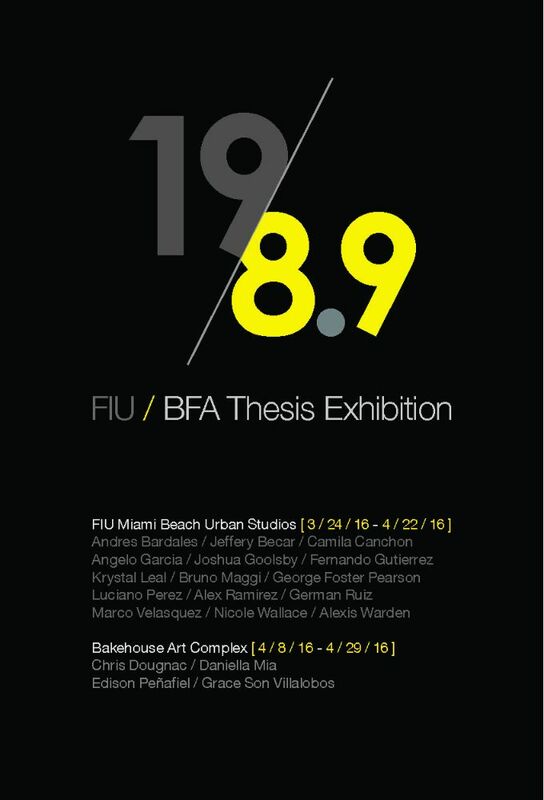 Currently, thesis works from FIU’s Spring 2016 Bachelor of Fine Arts graduating class are displayed at The College of Architecture + The Arts | Miami Beach Urban Studios. However, what is showing at the Urban Studios is only a segment of the graduating class, which includes a total of 19 students. The other segment of the class will open their portion of the thesis exhibition at Bakehouse Art Complex. 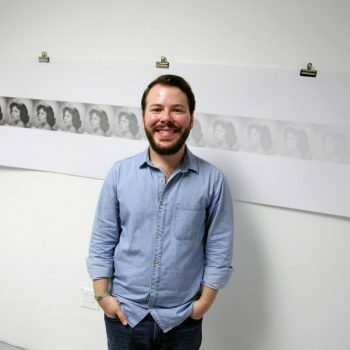 The title of the thesis exhibition at both the Urban Studios and Bakehouse Art Complex is 19 Over 8.9, since there are 19 graduates whose works are displayed over two separate locations that are 8.9 miles apart. The College of Architecture + The Arts | Miami Beach Urban Studios portion of 19 Over 8.9 will run until Friday, April 22nd, 2016 at 420 Lincoln Rd. Suite 440, Miami Beach, FL 33139. The Bakehouse Art Complex portion of 19 Over 8.9 will open on Friday, April 8th, 2016 and run until Friday, April 29th, 2016 at 561 NW 32nd Street, Miami, FL 33127.